Each weekday leading up to our Best New Bands of 2013 showcase tonight in the Mainroom. See the set times here. We will be sharing an interview with each of the seven artists. I probably wouldn’t try to describe it to them, I don’t like to make general comments on my music at all. I usually just list off random genres that I happen to be listening to at the time. To get better, and impress myself. I’m both excited and honored to be playing Mainroom for the first time. Mainly excited because I’ve now been presented with an adequate stage and the resources to really make what’s in my head come to life. The nervousness is always 5 minutes before stage time. Maybe the fact that it’s a city that feels tucked away, but it’s still metropolitan. There’s inspiration but still so much space and time to create. Where can folks find out more about you? 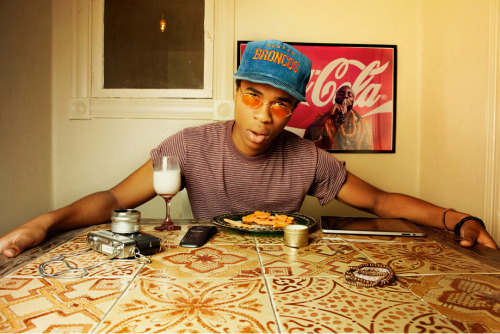 See Allan Kingdom at First Avenue’s Best New Bands of 2013 presented by Radio K tonight. $7 tickets are available here and will be available at the door.